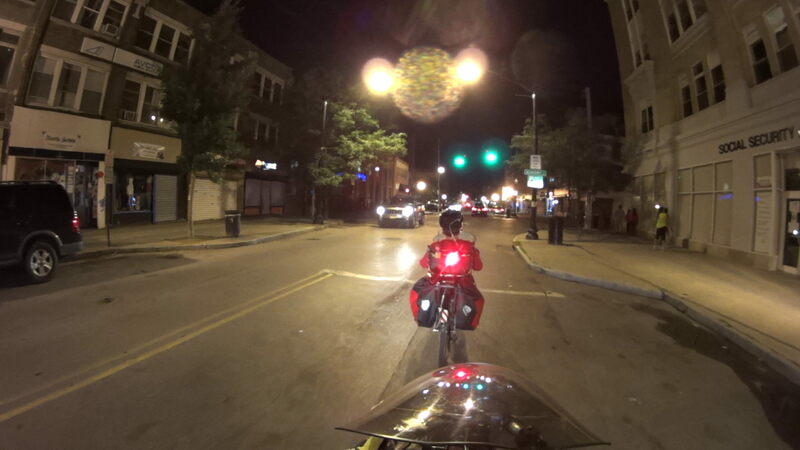 That ride marks the annual exception to our general Don’t Bike After Dark rule. We set our blinky taillights to the legally required steady mode, although I think a low-power blink mode would be more conspicuous. 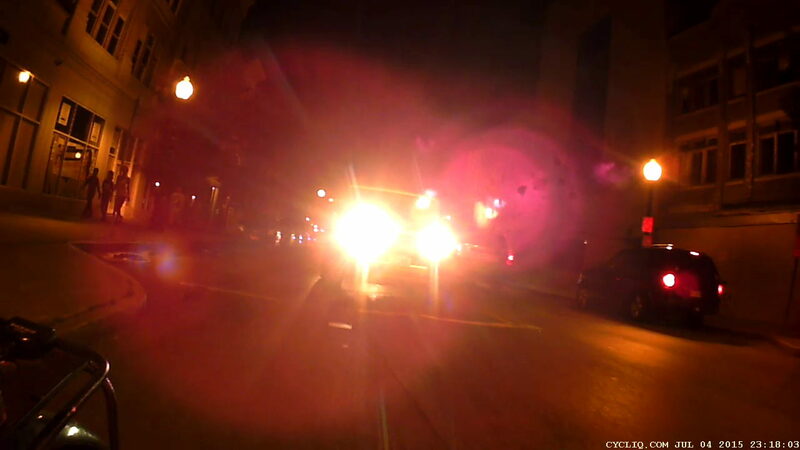 Perhaps an occulting light (constant bright with dim pulses) would be better, but I’m not sure that’s legal. 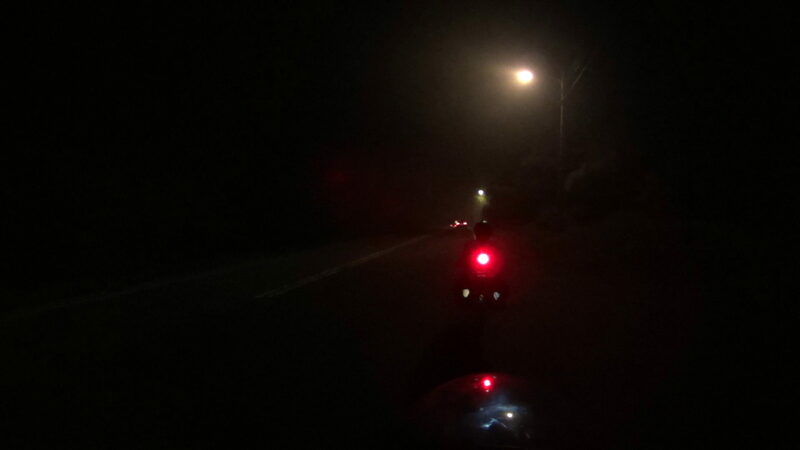 We have reflective tires, tape along the inside of the wheels, retroreflective packs, brilliant LED taillights, mediocre LED headlights (admittedly behind scuffed fairings), and look like UFOs in the dark. 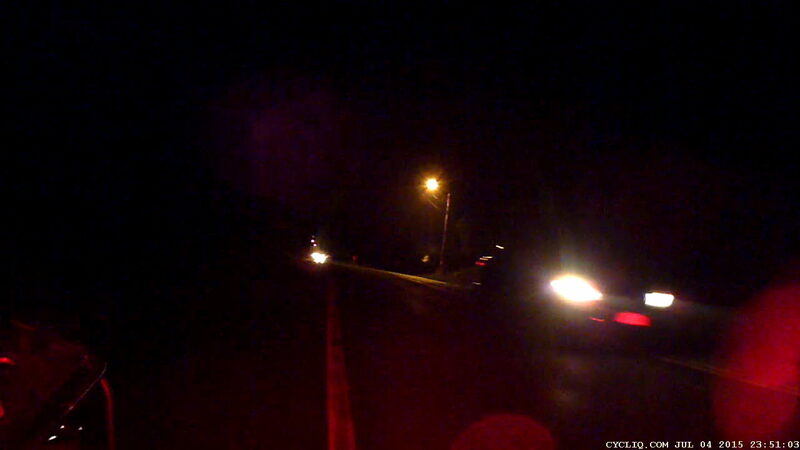 A roadie on a fancy bike, riding dark without lights and reflectors, passed us. 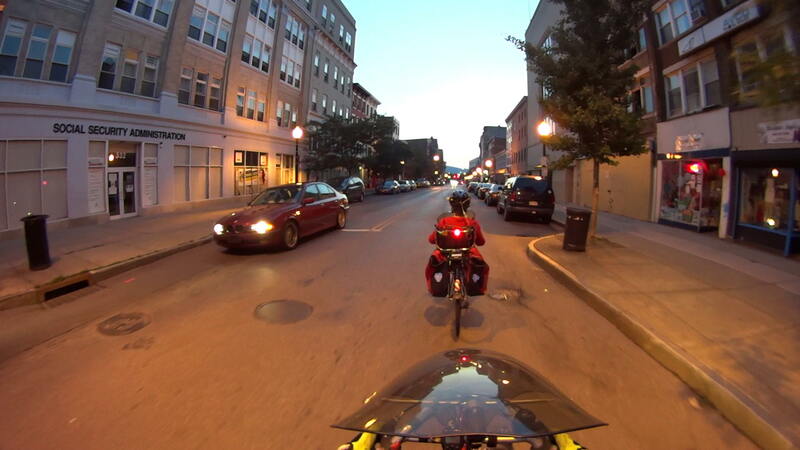 Watching him dodge a car that entered an intersection without seeing him once again demonstrated that cyclists are, in general, their own worst enemy.